I would like a beard. There are two reasons for this. The first is that it appears every single female on the planet only wants to date a guy with a beard and tattoos. The second is that I’m not one of these guys that enjoys shaving – I’m happy with the result most of the time, but if I could spend an extra 5 minutes in bed in the morning, that would be grand. The reason I don’t have a beard is that I can’t get past the “just looking a mess” stage. I have very dark stubble that gives me a five o’clock shadow by 9am (another reason I want a beard) and when it grows out for a week I just look and feel dirty so give up. Because of said stubble, I usually wet shave every other day with one of those Gillette things with far too many blades an a battery. Fusion I think it’s called. I bought it in an offer once and the blades magically appear in the post every now and again. To be fair, I like it because it does the job. It just feels like a performance. I’ve tried electric shavers in the past, even very expensive ones like that one that would dispense moisturiser as I went. It was garbage. 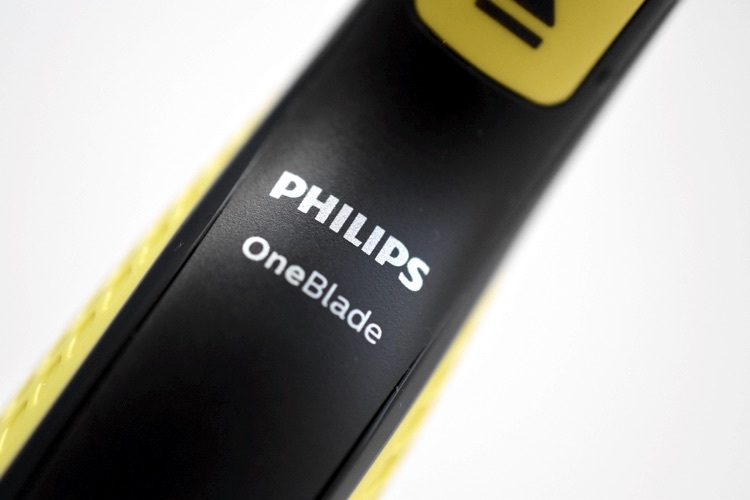 However, the £34.99 price point of the Philips OneBlade was just about able to pique my interest. 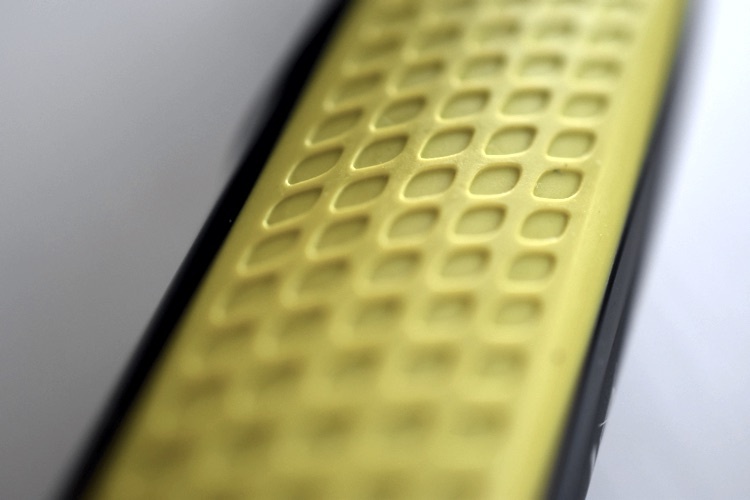 Other models of OneBlade are available with longer battery life than the 45 minutes offered by this one. The other models also come with more or fancier combs for beard trimming as far as I can tell, and come in better finishes, but the blade is still the same and will, apparently, last up to 4 months. I always hate the ambiguity of that marketing ploy – “up to”. It includes one week, for example, and I’d like to know what I have to do to get 4 months usage if a new blade is £11.99. Out the box the OneBlade feels pretty good. Yes, it’s plastic and rubberised on the sides but if feels solid. It has a power button and a button to release the blade, and a port for the charger. The blade is the part that got me interested. Philips say that it uses a combination of rotary technology and a trimmer, but this isn’t a foil or rotary shaver as I know them (rotary means that it rotates, right?!). Instead it’s a heavily shielded single but double edged blade that moves 200 times per second. It looks like a razor though, and that’s why I thought it might perform like one rather than standard electric shavers that usually take my skin but leave hair. 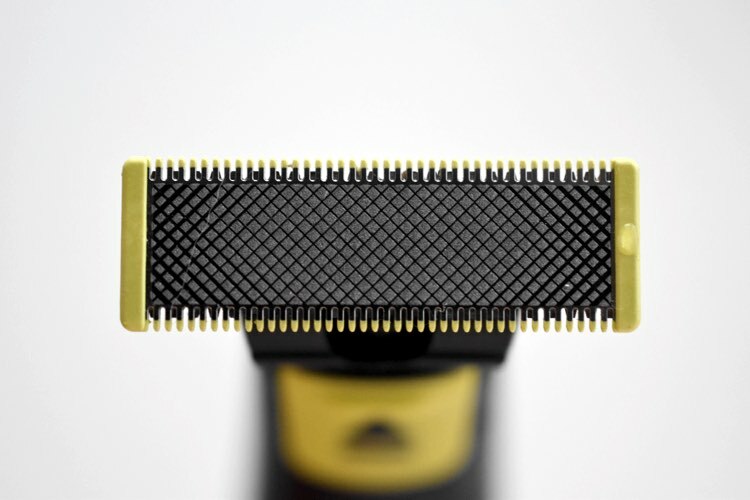 The OneBlade sells itself as a trimmer and styler. Well, my style is clean shaven, so it’s gonna need to trim pretty close. It’s also waterproof so you can use it wet or dry and with gel or foam. But, I wanted to shave and go, so I’m just going to use it straight up after washing my face. And I have to say, it’s not too bad. First time I used it I was too nice with it and too careful and took forever and it got me nowhere. As I’m more used to it it’s become better. The shave isn’t as close as a wet shave obviously (possibly why it sells as a trimmer), but it is quick and does a decent enough job. If I was going out on a date, for an interview, for a special occasion etc, I’d wet shave with my razor still. However, for going to work or just looking a bit tidier for a trip round the supermarket, the result is good. Irritation is at a minimum. My neck is a little red after I finish but nothing that 10 minutes and an aftershave balm don’t take care of. The best thing for me is that, while I’m not using it as a trimmer, if I go with the grain and barely press, I do get a trim that would classify as “designer stubble” in my book and looks acceptable on me when I have a bit of a tan. How it fares on longer beards with a comb, I don’t know, but for short and rugged, it’s great. 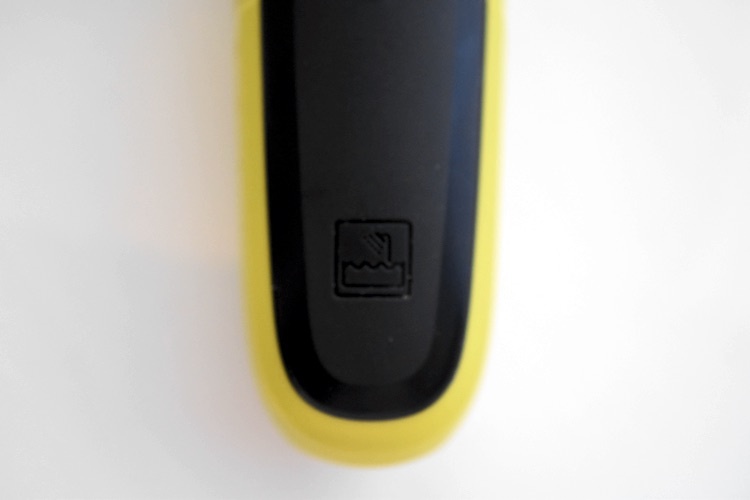 The shape of the blade means that edging around side burns is also easy. Bad points? When used dry, there’s nothing to catch your stubble as it detaches from your face. That is, except for your shaving hand, chest, sink and floor. You definitely have to clean up more afterwards than with other shavers I’ve had. The other thing I have to complain about is the battery. No indicator light and 8 hours of charging for 45 minutes use. I guess if they really do base performance on two shaves a week, that’s fine. However, I do think that the OneBlade is extremely sensitive to its battery power. When I’ve left it to charge overnight it’s great, but three or four shaves in and it starts to struggle. I haven’t had a lot of success with electric shavers in the past, so I started with low expectation. The OneBlade has more than exceeded those expectations, without doing enough to make me ditch my Fusion just yet. 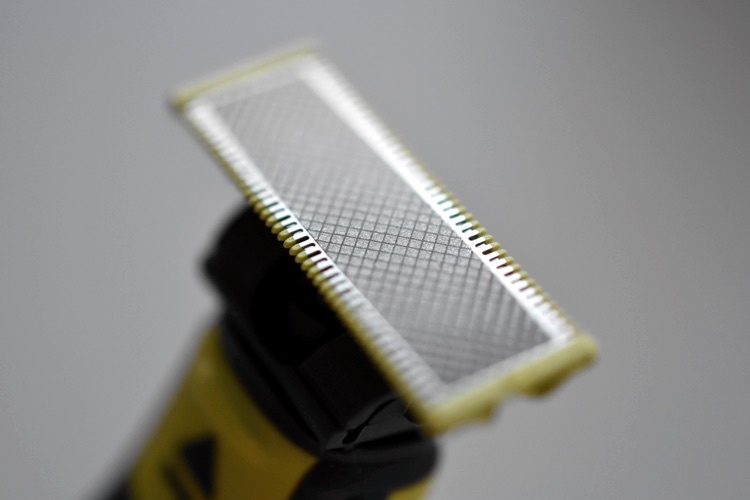 If you use an electric shaver already, the price and performance of the OneBlade should make it something you consider buying next time you want a change. Hey, great review – I found your blog having just posted my own review of the OneShave and have been pleasantly surprised! I’ve not had much luck in the past with shavers but really like this. Really like your blog, thanks for sharing!